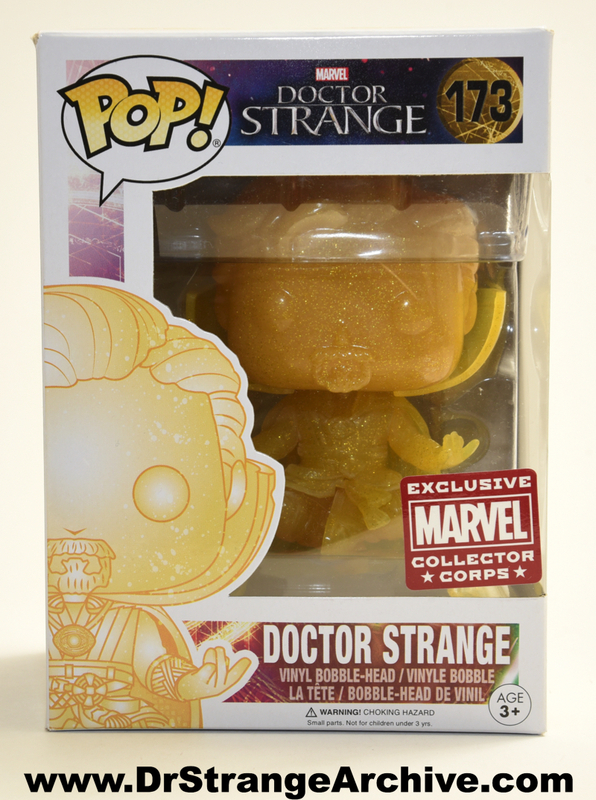 Description: This is the Marvel Collector Corps exclusive Doctor Strange 173 vinyl bobble-head figure that came in the Dr. Strange Marvel Collector Corps box. 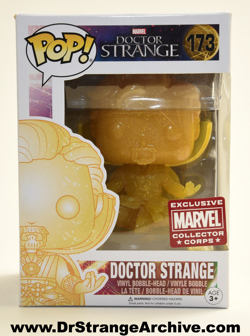 The Doctor is in a seated lotus position and is molded in sparkly semi-translucent yellow material.